What A crazy weeks its been – Uri Geller has re-ignited the remote viewing interest with his latest documentary (see below for link details) and its claims that he was a long-time psychic spy for the CIA and Mossad. 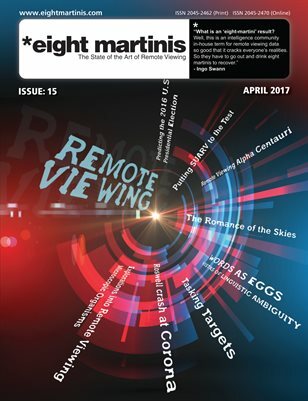 Also we have enclosed a few bits and pieces from across the web on all things remote viewing and more. After 35 years, the EJP ceased publishing (for the forseeable future) with volume 25 (2010). We aim to make all articles from back issues of the journal freely available in PDF format. For the interim, you can download PDFs of complete for volumes 19 through 25. A full video CRV remote viewing session form Edward Riordan. The Cue: Describe the most important aspects of the target event at the instant of original imaging by the Phobos 2 spacecraft. Experimental Support for Controversial Precognition Study? “He is most famous for bending spoons but what you probably didn’t know is that Uri Geller is actually responsible for saving us from a Third World War and Armageddon. At least that’s how it seems…And while he is the king of reinvention, from his early days as a nightclub entertainer to a psychic who graced the sofas of 1970s chat shows, even by Uri’s standards his latest incarnation is a little bizarre. [Daz] – An online tool to act as an interface between project managers, remote viewers and potential clients to keep each party blind and separated as per the structured system used in remote viewing, but also allowing them to work together on projects. Making big ‘Schroedinger cats’: Quantum research pushes boundary by testing micro theory for macro objects.